The term “going green” has just gotten a new meaning as the Canadian based medical cannabis company Tilray has everyone talking. Some backround: The company is based in Vancouver Canada and is dedicated to cultivating and delivering the benefits of medical cannabis safely and reliably, according to their website. Tilray had its IPO in July with its initial share price at $17 per share. Looking at it today, the stock is trading around $140 with a recent high of over $300 per share in September. 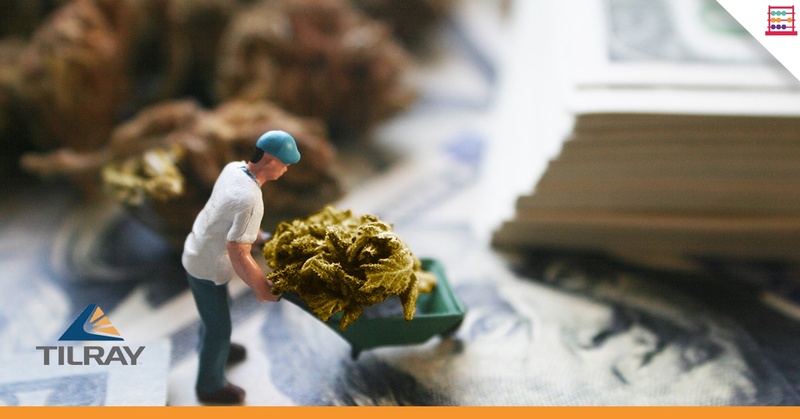 Looking at the big picture why the company has become so attractive for investors is that the DEA has just signed off on Tilray Inc’s plan to import cannabis from Canada to the United States for medical research. Tilray will work closely with the University of California’s cannabis research centre in San Diego to study whether cannabis can be effective in treating neurological movement disorders. 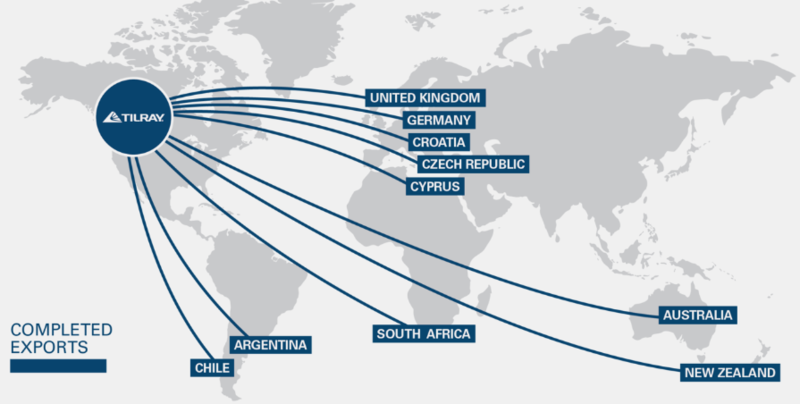 Here are some of the other locations around the world, where Tilray have expanded their operations to, as well as completed exports. Looking at the Intraday chart of Tilray Inc. (TLRY), we can see that surge in the share price from the DEA news, and the price retreating from that point. 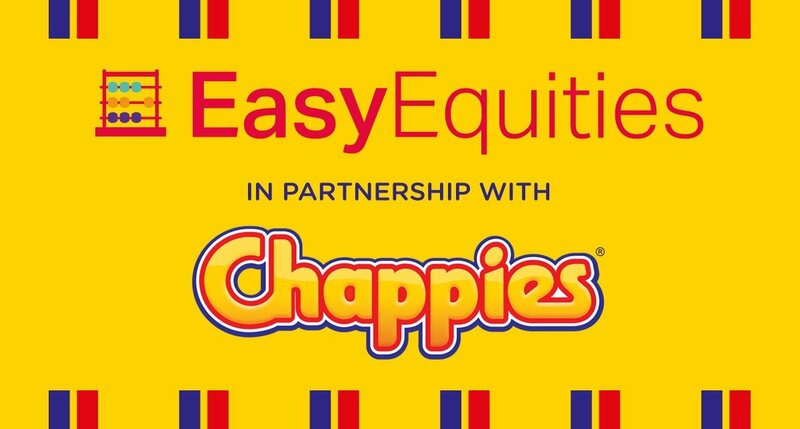 The stock can be bought from current levels or down from $90 per share. 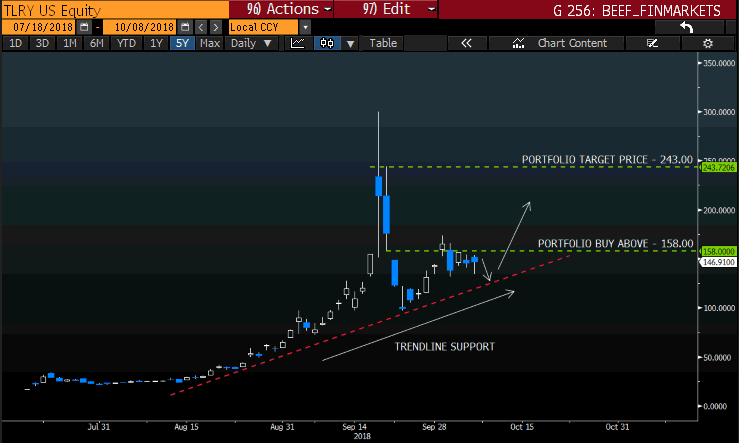 Technically, the optimal entry point would be above $160 per share as the price action is finding trendline support (Red dotted line), and might move higher from current levels. Portfolio buy (Current) from current level or above $158 per share. Portfolio target price $243 per share. Tilray became the first cannabis company to go public on the NASDAQ in July 2018. The company is worth around $20 billion, which makes the company bigger than American Airlines. Tilray has also surpassed Canopy Growth as the most valuable publicly traded cannabis company in the world.